· Enhanced the dashboard – info about the location of the backup logs folder and settings file. · Enhanced the email viewer: Wordwrap for the plaintext email body, so that no need to scroll horizontally. · To enable best data stability, warns the user to not have other programs to open the database file if the selected folder for storing backup data is located in a network drive. · Fixed: Gmail backup filters (Gmail’s advanced search operators) didn’t work during the backup. · A small display issue of the Status column of the Account List view. 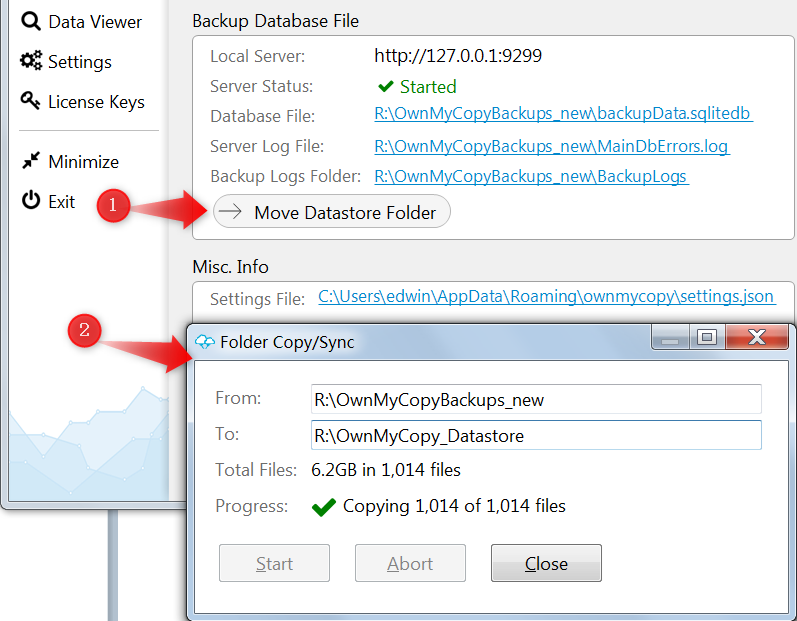 o It’s handier to manage your backup accounts and see backup history for each account. 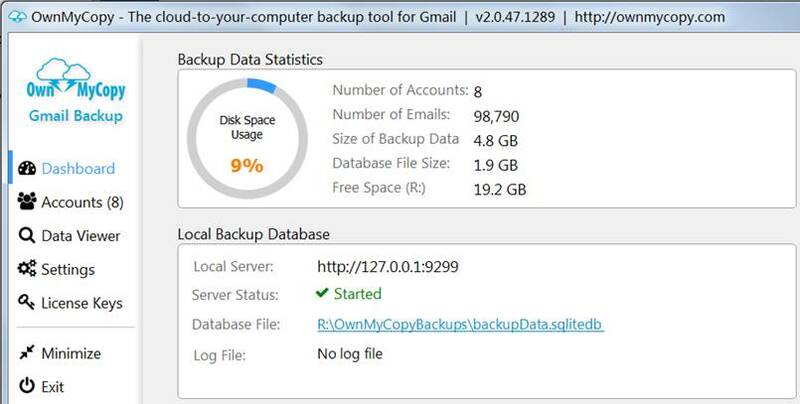 o The email data viewer is fast, especially when there are backup tasks running in the background. o The backup implementation is rewritten and is more stable. o You can now use Socks5 proxy server to connect to the Internet. o Run backup every X minutes. o Run backup every X hours. o Run backup on a daily basis at a specified time. o Run backup weekly at the time you set. You can now buy multiple license keys and use them with OwnMyCopy. This is the old version and the release notes are not included here.